Charles-Marie-Gustave Le Bon (May 7, 1841 – December 13, 1931) was a French social psychologist, sociologist, and physicist. He was the author of several works in which he expounded theories of national traits, racial superiority, herd behavior, and crowd psychology. His views on cultural evolution were based on his belief that it is the character or "soul" of the people that determines their progress, and that this character took the form of an unconscious "collective mind." This collective mind would also emerge in a crowd of people, influencing their behavior in ways not predicted by simply studying an individual. Le Bon's thesis that the behavior of crowds was based on emotion rather than intellect was influential in several arenas, with mixed results. His work on crowd psychology was used by media researchers to develop propaganda and advertising techniques to influence the public. These ideas were also adopted by Adolf Hitler as he mobilized large crowds of people to act based on their emotions and fears, often in ways that they would not have done based on their individual beliefs. Le Bon recognized that his work revealed great dangers to society and he warned that if the masses were to gain control, human society would revert to barbarism. Although his work suggested it, he did not pursue to the more common historical outcome in which a strong leader manipulates the masses to behave in violent, inhumane ways. In this sense, Le Bon's work was an incomplete analysis of crowd dynamics, while at the same time it did open new avenues of understanding human behavior. Charles-Marie-Gustave Le Bon was born on May 7, 1841, in Nogent-le-Rotrou, France as the son of a civil servant. He obtained his medical degree in Paris, in 1866. He first practiced medicine in Paris, but decided to tour Europe, Asia, and North Africa in the 1870s and 1880s. During this time he wrote on archaeology and anthropology, making some money from the design of scientific apparatus. In 1884, he returned from an anthropological expedition to India, where he was commissioned by France to study Buddhist monuments. He published his two books, The World of Islamic Civilization and The World of Indian Civilization, during this period. His first great success was the publication of Les Lois psychologiques de l'évolution des peuples (1894; The Psychological Laws of the Evolution of Peoples")', in which he hit upon a popularizing style that was to make his reputation secure. His best selling work, La psychologie des foules (1895; English translation, The Crowd: A Study of the Popular Mind, 1896), followed soon after. Le Bon enjoyed considerable security at the center of French intellectual life thereafter. In 1902, he launched a series of weekly luncheons (les déjeuners du mercredi) to which prominent figures from all the professions were invited to discuss topical issues. The strength of Le Bon's personal networks is apparent from the guest list: In subsequent years, participants included cousins Henri and Raymond Poincaré (physicist and President of France respectively), Paul Valéry, and Henri Bergson. Le Bon also served as a professor of psychology and allied sciences at the University of Paris. Gustave Le bon died in Marnes-la-Coquette, France, on December 13, 1931. Le Bon was a man with an extended field of interests. His writings range from studies of atomic energy, to physical anthropology and sociology, to the studies of the components of tobacco smoke. Because of this, many have regarded his works as superficial. Others, like Sigmund Freud and Gordon Allport, have acknowledged the importance of Le Bon’s work. In his 1894 publication, The Psychology of Peoples, he developed the thesis that the development of a people depends on their national character, and is driven by emotion rather than intellect. History, for Le Bon, was a consequence of racial temperament; to understand the history of a people, one must look to their collective soul. He argued that just as a people cannot choose its appearance, it cannot freely choose its cultural institutions. Le Bon's beliefs with respect to political behavior consistently revealed a basic mistrust of the masses. He maintained that where the common people gain control of government, civilization is moved in the direction of barbarism. Le Bon made significant contributions to the field of social psychology, particularly in the study of crowd behavior. He believed that crowds exhibit a collective mind, different from the one that would be the sum of the individual persons. That new mind is predominantly unconscious in nature, reflecting racially inherited characteristics. In a crowd every sentiment and act is contagious, and contagious to such a degree that an individual readily sacrifices his personal interest to the collective interest. This is an aptitude very contrary to his nature, and or which a man is scarcely capable, except when he (is) part of a crowd (Le Bon 1895). Le Bon also contributed to on-going debates in physics about the nature of matter and energy. His book The Evolution of Matter was very popular in France (going through twelve editions), and although some of its ideas—notably that all matter was inherently unstable and was constantly and slowly transforming into luminiferous ether—were taken up favorably by physicists of the day (including Henri Poincaré), his specific formulations were not given much consideration. In 1896, he reported observing a new kind of radiation, which he termed "black light" (not the same thing as a black light today), although it was later discovered not to exist. Le Bon was one of the great propagators of the theories of the unconscious at a critical moment in the formation of new theories of social action. The ideas put forward in La psychologie des foules played an important role in the early years of group psychology: Sigmund Freud's Massenpsychologie und Ich-Analyse (1921) was explicitly based on a critique of Le Bon's work. Wilfred Trotter, a famous surgeon at University College Hospital, London, wrote along similar lines in his famous book Instincts of the Herd in Peace and War, just before the outbreak of World War II; he has been referred to as "LeBon's popularizer in English." Trotter also read Freud, and it was he who introduced Wilfred Bion, who worked for him at the hospital, to Freud's writings, and both he and Ernest Jones became closely associated with Freud when he fled Austria shortly after the Anschluss. They were also closely linked to the Tavistock Institute as key figures in the development of Group Dynamics. It is arguable that the fascist theories of leadership that emerged in the 1920s owed much to his theories of crowd psychology. Indeed, Hitler's Mein Kampf drew largely on the propaganda techniques proposed in Le Bon's 1895 book. Le Bon’s work on crowd psychology became important in the first half of the twentieth century when it was used by media researchers such as Hadley Cantril and Herbert Blumer to describe the reactions of groups to the media. Edward Bernays, a nephew of Sigmund Freud, was influenced by LeBon and Trotter. In his famous book, Propaganda, he declared that a major feature of democracy was the manipulation of the mass mind by media and advertising. Le Bon, Gustave. 1974. The World of Islamic Civilization. New York: Tudor Pub. Co. Le Bon, Gustave. 1909. The Evolution of Forces. D. Appleton and Co. Le Bon, Gustave. 1921. La psychologie politique. Bibliothèque de philosophie scientifique. Paris: E. Flammarion. Le Bon, Gustave. 1924. The World Unbalanced. Longmans, Green and Co.
Evolution of Matter—English text of Evolution of Matter. Gustave Le Bon—Gustave Le Bon page. 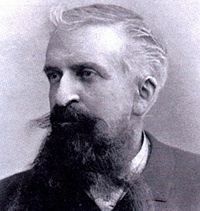 Gustave Le Bon's works: Page on Gustave Le Bon with his works available in French and in English. Online books by Le Bon—Two full-text works by Le Bon. *The Crowd—The complete English text of The Crowd. History of "Gustave Le Bon"
This page was last modified on 21 July 2017, at 15:12.